Low rates, great customer service, see how much you can save! Count on the staff at Texas United Insurance to discuss your insurance options. Call us at (210) 344-7800 to receive a free and quick auto quote. 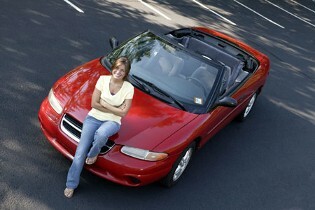 Texas United Insurance offers a variety of auto insurance options. We provide good driver policies for people with good credit and great driving record. We also provide assistance for people with bad credit, violations, no driver's license, or foreign driver's licenses. Please call our office and provide us with a few details and we can provide you quotes from over 20 different top insurance providers. Enjoy the open road with motorcycle coverage with Texas United Insurance. Insurance is available from everything to a custom motorcycle all the way to a scooter. We specialize in insuring your boat or personal watercraft so you can relax and enjoy the sun. Whether you boat is on your trailer or in the open water, Texas United Insurance will ensure you have the proper coverage. How is a collector car insurance policy different from a standard auto insurance policy? Since collector cars don't depreciate, coverage is based on agreed value rather than actual cash value. You agree on a value at the time the policy is purchased. This takes into account everything you have invested in your classic car. Collector car insurance rates are typically lower than standard auto insurance rates since collector cars are well maintained and driven less than everyday cars. Contact us in San Antonio, Texas, at (210) 344-7800 for more information about our business and auto insurance.